How are your blocks coming along so far? This week is easy - 9 patch blocks! These should come together quickly for you whatever your stash looks like. I show a quick piecing method in the instructions using strips instead of individual squares, but only because I had strips to use up too! You can make them all scrappy or control the look with all the same background fabric or the same dark fabrics. The dark squares can be dark browns or blacks OR greens. It's up to you! 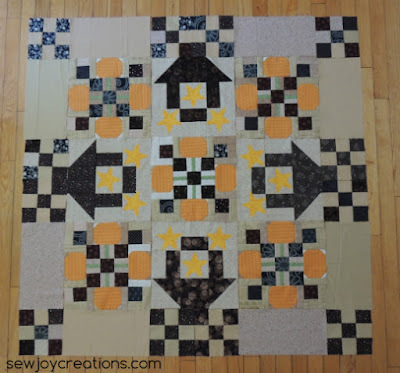 If you used greens in the pumpkin blocks you might want to continue in the 9 patches as they are the final design element in the wall hanging. Click to download Harvest JOY 9 Patch Block instructions here. 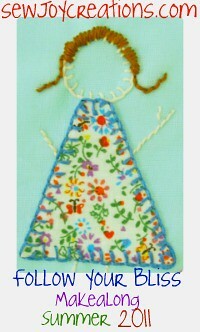 Instructions this week also have you cut the large background units for the border. 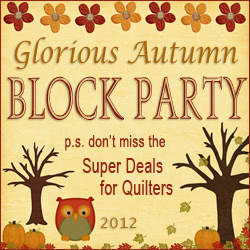 Be sure to join us over at the Sew Joy Creations Quilt Group on facebook where we share our blocks as we make them! p.s. Stay tuned! 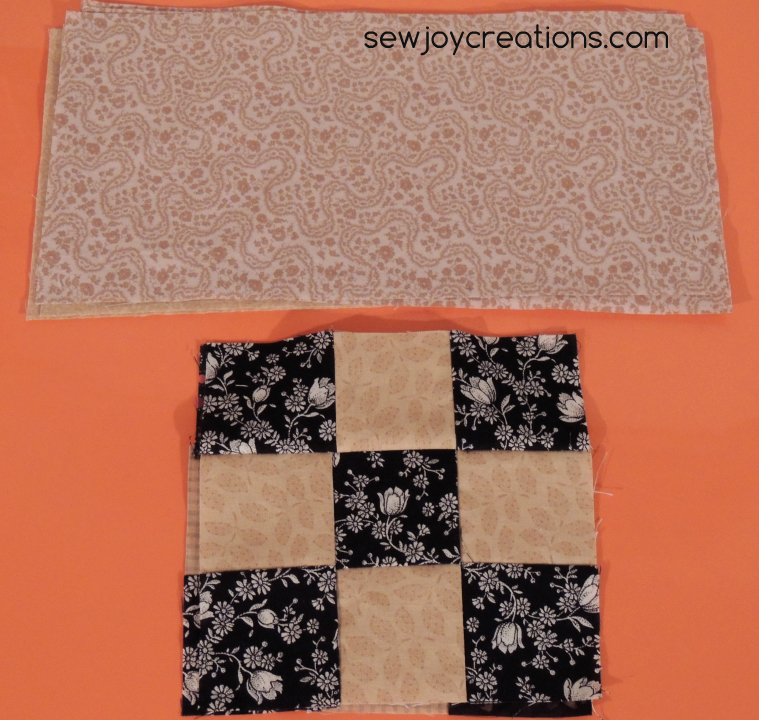 I have some smaller projects you can make with these blocks too. Because mine aren't sewn into the wall hanging yet I can play around with them :) I'll post options later this week.